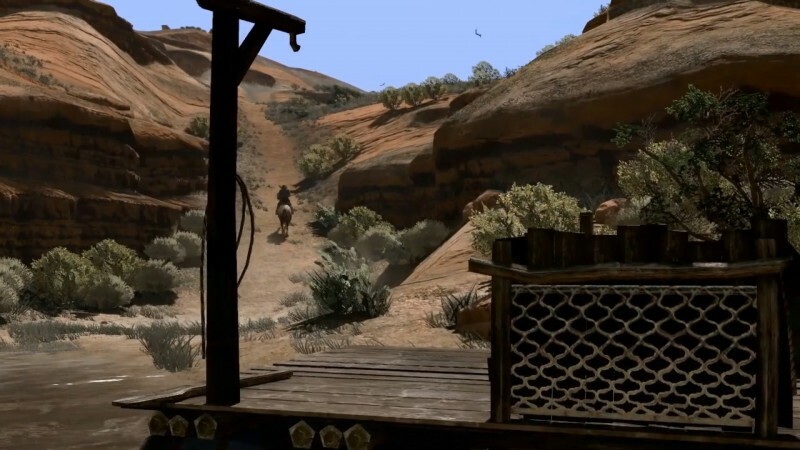 In the eight years since Red Dead Redemption released, players have explored every inch of its grassy plains, desolate deserts, and snow-capped peaks. During a misguided extermination quest, we discovered that the “man-eating” Bigfoot actually eats berries. We uncovered – and maybe even stopped – the cannibal behind a rash of disappearances in Armadillo. We even aided our grave-digging friend, Seth, in finding buried treasure from a bona fide treasure map. So, how many mysteries could possibly remain in this well-traveled world? Plenty. Red Dead Redemption features events no one speaks of, locations that defy explanation, and people who took secrets to their graves. Though theories and speculation abound, Rockstar has kept some revelations close to its vest. Which is why, with the release of Red Dead Redemption II next week, we are examining everything we know about the game’s biggest unsolved mysteries. Dead men tell no tales and many things can be lost to history, but maybe the western’s sequel can spin us an illuminating yarn or two. On the surface, Blackwater is a booming urban hub promising civilization and safety for its residents. Look deeper, and you’ll find that the city has not always been a shining metropolis. 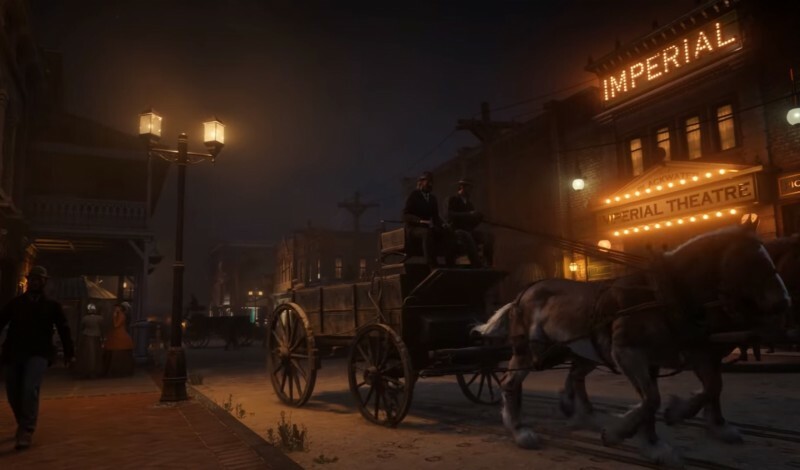 Newspapers circulating in Red Dead Redemption and overheard hushed conversations hint that Blackwater’s wide, clean roads were drenched with blood in an event called the Blackwater Massacre. Information is surprisingly scarce for such a large traumatic event, but we do know a shootout occurred in the city between a group of outlaws and lawmen and, after the smoke settled, as many as 37 people were dead. If anyone knows how it started, or why, they aren’t talking. So far, the Blackwater Massacre sounds like an interesting piece of the city’s lore, but nothing for the next game to focus on, right? That is until you learn that the massacre took place in 1899, the same year in which Red Dead Redemption II is set. We know Red Dead Redemption II starts in the immediate aftermath of the massacre, and it is extremely likely the Van der Linde Gang was involved – if they weren’t the sole instigators. Will we see more of the Blackwater Massacre, or will it remain an event shrouded in secrecy? We can’t be certain before we get our hands on Red Dead Redemption II. 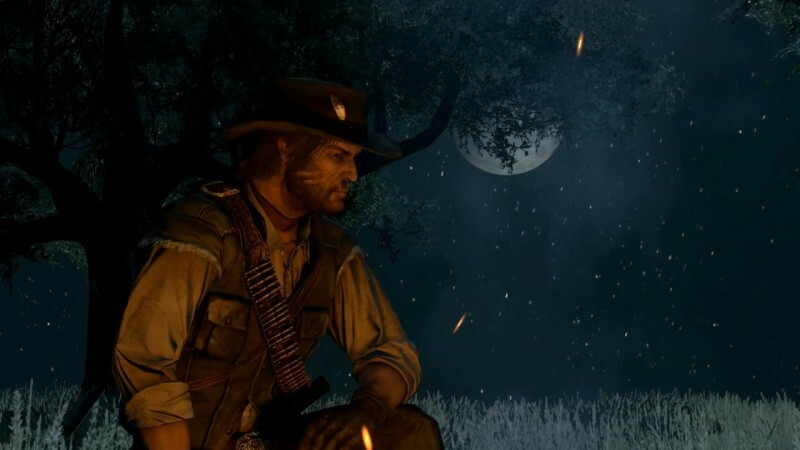 “Hello John, John Marston” an even-toned lone man in a black suit calls out while staring into the wilderness. This is our first introduction to one of the creepiest quest givers in Red Dead Redemption. John doesn’t recognize the man, but this stranger is well acquainted with him. The mood grows more unsettling as the figure dispassionately relates some of John’s most terrible past deeds as if he were there to witness them. Instead of condemning John, the strange man – as he will later be known to fans of the series – presents John with quests which test his moral compass. First, he asks John to advise a “friend” that wants to cheat on his wife. Next, the strange man tasks John to either help or rob a nun carrying alms for the downtrodden. Each time, the strange man is careful to never pressure John to do the right thing; he simply observes. John reaches a breaking point in his final encounter with the man at Beecher’s Hope (eerily enough, on the same spot John will later be buried) and John shoots him in the back. Like the end of a great campfire tale, the figure continues to walk away, unphased by the bullets. 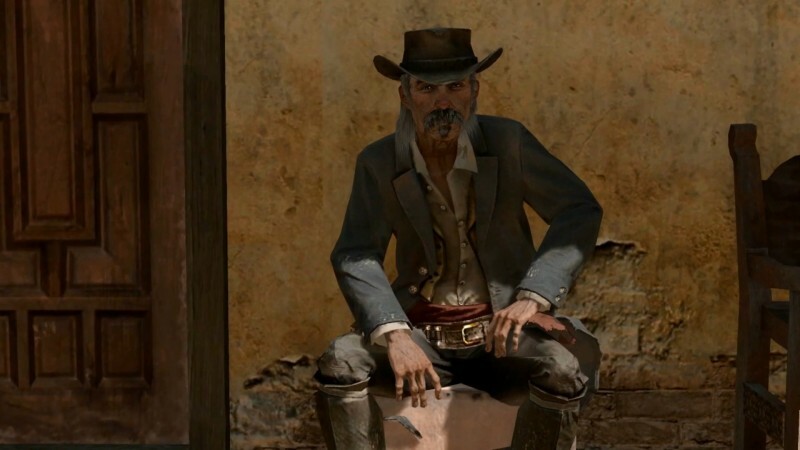 We hope the stranger appears in Red Dead Redemption II to settle the swirling speculation surrounding who he was and what he wanted. Did the ghost of one of his victims come back to haunt John? Was the stranger a higher power sent to test him? These questions remain unanswered, but hopefully not for long. In a small town in the corner of Mexico, a forgotten legend hides from the world. When John silences a hostile welcome party with his gun, the once-famous gunslinger Landon Ricketts appears. John recognizes his name from childhood stories, but the memories are faded, and John never expands on the old man’s great deeds. Ricketts sneers at John’s poor form and terrible people skills but gives him a chance to make it up to the people of Mexico. After earning his trust, Landon Ricketts teaches John a few tricks of the trade and John’s Dead Eye abilities reach a lethal precision. So, why is a man of Ricketts' caliber rotting in Mexico, and what did he do to gain his renown? John commiserates with Ricketts about killing men in “the life.” but neither man clarifies what that means exactly. Twelve years before the two men meet, we might watch the legendary gunslinger’s famous deeds unfold in Red Dead Redemption II and learn why this great man fled south of the border. In Red Dead Redemption, John repeatedly asserts that he left the Van der Linde Gang after Dutch went crazy, shot a bunch of people, and left him for dead. But we never learn why Dutch abandoned John. One of the best leads we have is Heidi McCourt, the innocent woman who died during a desperate act by a violent gang. John had a lot on his mind that day – nearly fatal wounds and the gang’s betrayal – so it’s no wonder John doesn’t recall Dutch’s other victim, but the strange man (that unsettling figure from earlier) does. For him, it is not the worst thing that this woman died in an act of senseless violence, but that the people responsible for her gruesome fate don’t even remember her. During this conversation, the strange man also reveals that the botched raid where John was shot took place on a ferry. Since we know Red Dead Redemption II begins with a job gone wrong – and John hasn’t been left for dead – this comment confirms the Van der Linde Gang participates in at least two separate failed heists. Will both Heidi’s and the gang’s fate be written on the ferry in Red Dead Redemption II, or is there another piece to the puzzle? This site is so enigmatic, there isn’t even an official name for it. While wandering the wilds near Repentance Rock, many stumbled upon a bizarre sight that defies explanation. Three rune-marked rocks, facing all but one of the cardinal directions, pin down a painted deer skin. On the skin’s southern edge is a rounded stone object emblazoned with what looks like a human figure. The deer skin itself is painted with red symbols. John can’t interact with any of these objects, and the site isn’t incorporated into any quests or lore. Which leaves nothing but theories and speculations about the site’s purpose – and interpretations vary wildly. The site could be a treasure map, a personal Native American story, a demon-summoning portal, directions to a hunting ground, a burial site, or – most practically – the aftermath of a quest that got scrapped. 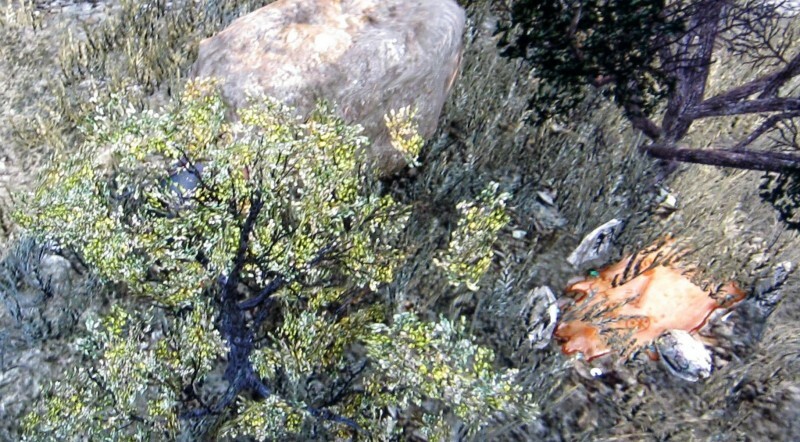 It may be a long shot, but we’d love to see a nod to the mystery site in Red Dead Redemption II, even if we never learn its tightly guarded secrets. John’s violent past is literally written on his face. 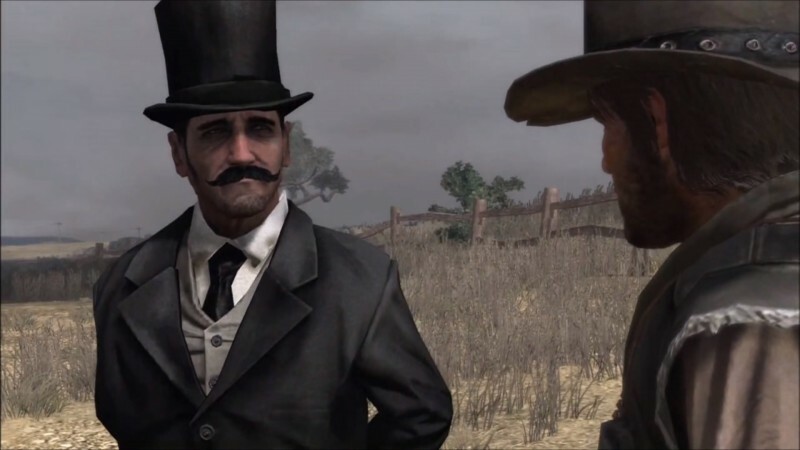 The protagonist of Red Dead Redemption travels through the entirety of the game with gruesome facial scars, but no one ever talks about it and John offers no explanation about where they came from. After our hands-on time with the game, we have no doubt this mystery will be put to rest. 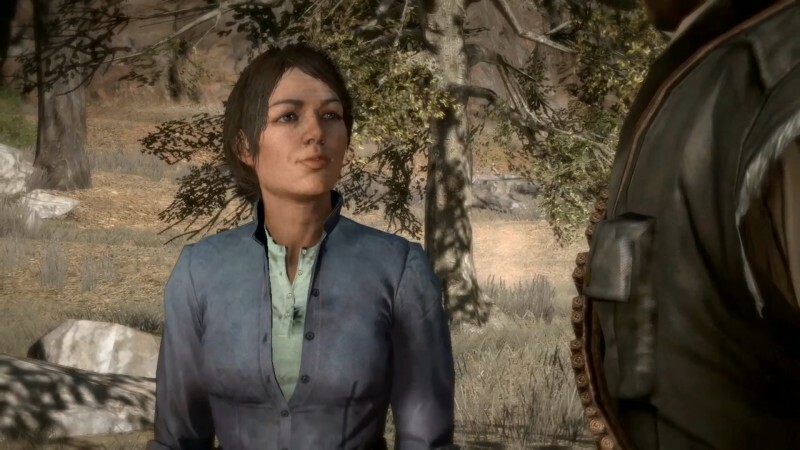 In Red Dead Redemption, after reuniting with John and on the way to the MacFarlane ranch, Abigail states reassuringly that it wasn't, "the first time I’ve had a gun to my head, John. You're forgetting your marriage proposal.” leaving us to question what that means. We’ve already seen the Marston family enjoying a moment by the campfire in a Red Dead Redemption II trailer, but the mystery remains: why (and how) did John propose to Abigail? We know John is unfailingly loyal, and he wanted to be the father he never had, but where does the gun come in? Was it a literal shotgun wedding? Did John pop the question to somehow avert disaster? What series of events could have caused Abigail to accept a marriage proposal while staring down the barrel of a gun? Even if this scene is described off-camera, we look eagerly for some clarification in Red Dead Redemption II. Tumbleweed was a prosperous town until the railroad bypassed it in favor of Armadillo, ruining the local economy. But “ghost town” might mean more, in this case, than abandoned city. The Blackwater Ledger, an in-game newspaper, reports unnatural happenings and spiritual sightings in Tumbleweed. Marshal Johnson in Armadillo also mentions some people say the town is haunted. We could chalk up these sightings to bandits, who use Tumbleweed their base. However, on the pulpit of the church, someone has written out, “The devil has got into that beast,” sparking ghost tales and theories ever since. 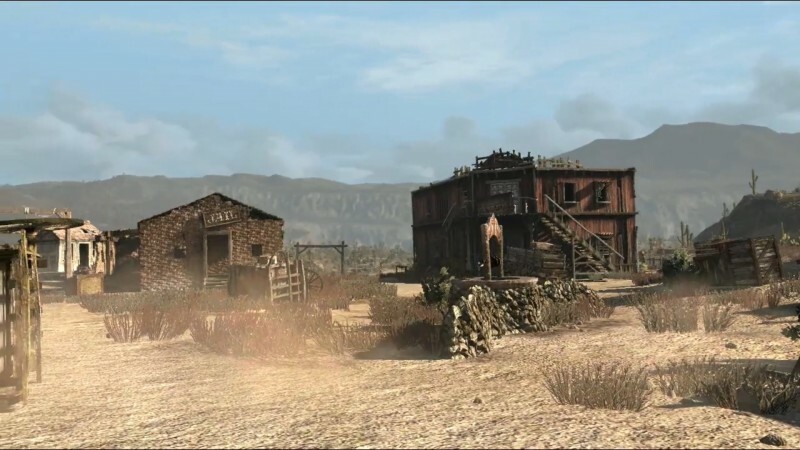 Red Dead Redemption II takes place before the train was built, when tumbleweed was a flourishing city. Did the town wither thanks to the train, or did something insidious inspire the townsfolk to run? Perhaps, Red Dead Redemption II holds the clues. Red Dead Redemption II is coming out on October 26 for the PlayStation 4 and Xbox One. For more information on Rockstar’s anticipated title, check out our hands-on preview and watch the launch trailer here.